I have been looking forward to sharing this with you all. This is such a great portrait. It's also for sale on the Etsy shop. 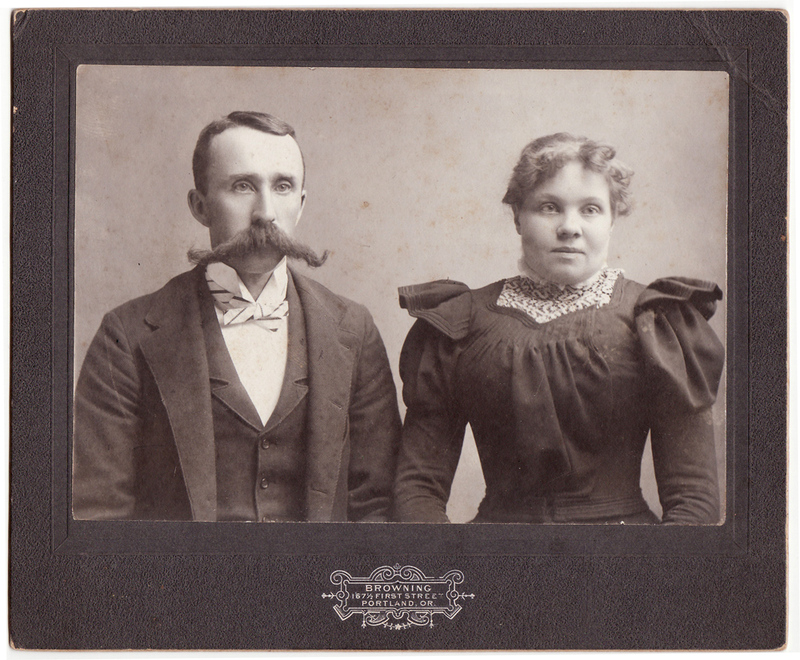 Very interesting, not just his mustache, but also what looks to be a very tight and uncomfortable corset on the poor lady. How glad I am never to have experienced that. Wow. I mean -- Wow. That's a mustache to be reckoned with. Your caption for the post is exactly what it seems like the lady is thinking quietly. He could literally poke an eye out with that! Fantastic photograph. Kudos! !